Home » What is tip income? Tip income is optional payments determined by a customer and given to an employee for providing a service. Tips are subject to Federal, Social security and Medicare taxes. 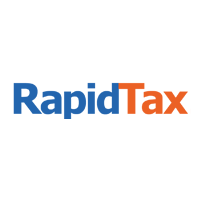 Taxable Tips include cash tips, non-cash tips, tips added to credit cards and shared tips. Cash tips are received directly from a customer. This also includes tips charged by credit card, debit card, gift card or any other electronic payment method. If you received more than $20 in tips for the month, you should report it to your employer. That way you employer will properly withhold Federal, Social Security, and Medicare taxes. Non-cash tips are tickets, passes or other items of value. Splitting tips are when fellow employees divide tips to share a tip with other employees. Next PostNext What are allocated tips?